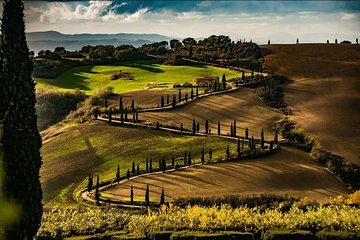 Savor authentic Tuscan cuisine in the famous Chianti wine region on a private gourmet tour from Florence. Visit a pair of picturesque medieval villages on the way to a boutique winery, where you’ll be treated to a private winemaker’s dinner in the underground cellars. Enjoy farm-to-table cuisine with full wine pairings plus typical products like balsamic vinegar and extra-virgin olive oil. No need to worry about driving, as transportation directly from your Florence hotel is included.